Why Do Vessels Thrombose During Ablation? Our previous work identified differences in the rates of portal vein, hepatic vein and hepatic artery thrombosis during microwave ablation in the lab and in clinical patients. There are several plausible explanations for such differences, including the flow mechanics of each vascular tree — blood flows into smaller diameter branches in the portal tree while blood flows into larger branches in the hepatic venous tree. 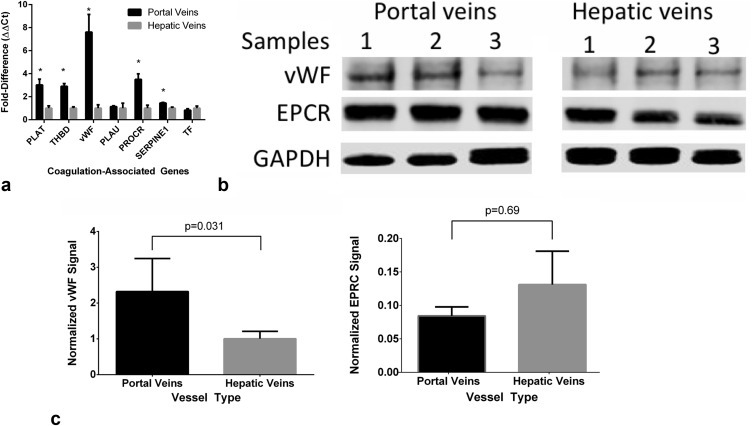 Jason Chiang‘s new study offers another explanation: differential expression of thrombosis factors in portal and hepatic veins. We identified an increase in the expression of von Willebrand factor (vWF) in portal veins that may partly explain the increase in portal vein thrombosis previously observed. We don’t know yet how heat influences this signaling or how important this mechanism is compared to other possible effects.